We live in the land where the Maharajah’s of Travancore once ruled. In spite of their great royal power and wealth, they served the people of this land in humility. Yes dear friends, humility is that virtue in life that is the touchstone of true greatness. The truly great were all humble people. Take the modern example of Sachin Tendulkar. He is one great cricket player the world respects and admires. He holds so many world records. Yet he has remained a humble person in spite of his international achievements. Therefore millions of people not only in India, but also across the world admire him and try to follow his example. My first point is that humility is a true sign of greatness. Secondly, only a person humble in heart learns anything worthwhile in life. In the old gurukulum system of education, a student or disciple stayed with his master for many years doing all household work. It was a test of humility. The teacher only taught the art after the student was humble enough to learn it. My second point is that humility is a sign of learning. Thirdly, humility does not insist on its rights. For example, we have often seen two cars opposite each other in a narrow lane. What happens there? The driver who is humble and does not insist that he should be first, reverses his car and allows the other driver to go first. This is an everyday example of humility in action. In families too, this is applicable. Our mothers, even though they cook food for us are often the last persons to eat. This is because they do not insist on their rights. Thus they become wonderful examples of sacrificial love. My third point is that humility does not insist on its rights. Finally, this world is a better place because of people who are humble. Imagine a world where everybody is proud. Will it not lead to fights and quarrels every day? Yes, it will. Therefore humility is like the oil that lubricates the hinges of huge doors. It is humility that like salt adds taste to our everyday lives. One such person whose living influence is present with us even today is Jesus Christ. The Son of God came down from heaven leaving his glory behind to be born in a manger where cattle fed. He humbled himself to wash his disciple’s feet. Finally, he humbled himself to be crucified like a criminal on a Roman cross even though he was innocent. 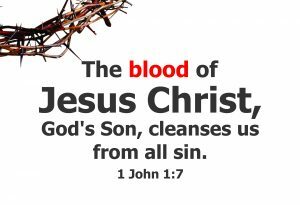 He shed his precious blood for the forgiveness of sins of all mankind. Because of this one sacrifice millions around the world have found peace with God. First of all, humility is a true sign of greatness. Secondly, humility is a sign of learning. Thirdly, humility does not insist on its rights. Above all, this world is a better place because of truly humble people. Let us all try to make this world a better place for you and for me and the entire universe by clothing ourselves with humility. Thank you. Public speaking requires confidence and a willingness to speak. 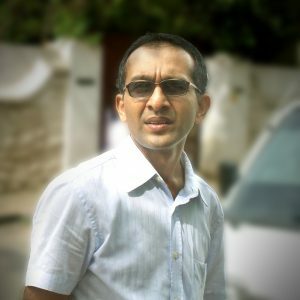 Your blog really points out some interesting ones out there and I must say it really helped me a lot to overcome the fear of speaking. I was hesitant in the beginning but practice makes it all worth it. For more information you can also visit: https://cedarwood.co.in/courses/elocution-speech-and-drama Thanks and have a great day. Previous PostPrevious We Owe Much to Them—Teachers! Next PostNext If You Have Failed Successfully!